Charleston SC fence builders aren’t hard to come by, but good ones with 35+ years construction experience – well that’s another story. So look no further. To many we are Charleston’s fence builder of choice as we have been building fences in & around Charleston for home owners, real estate investors, and businesses. Enjoying the back yard of your home is one of Charleston tri-county residents favorite things to do, but who wants the neighbors watching you grill chicken or hamburgers or swim in your pool? Want to have a safe place for your children and pets to play so you don’t have to worry about them? At Precision Construction Company of Charleston SC, we can build and install wooden, and vinyl fencing of all shapes and kinds. Sullivan’s Island, Folly Beach, or anywhere within the tri-county area of the low-country. 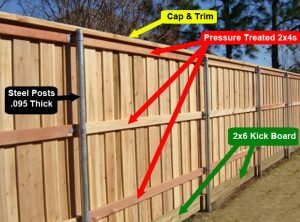 If are looking for a fence builder to design and construct a privacy fence for you we are here. How many gates you want will increase the price, and what style gate you want, and if you want a double gate or single are all things you should know when getting a quote from a fence contractor. Our expert carpenters can build just about anything you need from wood & lumber, we have designed and build wooden decks & porches that tie into the fence so they all look the same and the design is seamless, making your backyard look like a comfy oasis. TIP Most Charleston SC Realtors will tell you that having a fence is far more desirable for resale than not having one, but beware because most HOAs have design requirements so do not build without checking with your neighborhood’s HOA. Also, make sure you know where your property lines are with a survey or plat map of the subdivision. Most quotes are free, but the fastest way to get a quote is to know what you already have in mind. If you have a tape measure try to measure the length of fence you’d need or want and have that handy. Fencing estimates are done in linear feet. 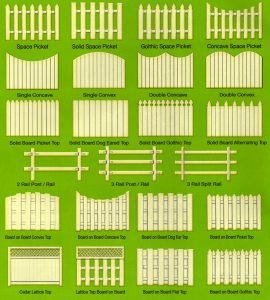 There are what seems like a hundred different styles of fence, some with fascia board, some without, some 6 ft, and some 8 ft. Wooden fence contractors in Charleston SC usually use pressure treated pine because that is what we have available here on the east coast, where as on the west coast you’ll find most fences will be constructed out of cedar. Regardless of which wood the fence is built from the methods are all the same, most posts are laid with concrete footers, but recently some fence contractors have gone to a new method of using expanding foam which has proven to also be a good alternative. The most common fence you’ll find here in South Carolina will be the 6ft dog eared picket as they are the most economically affordable option. 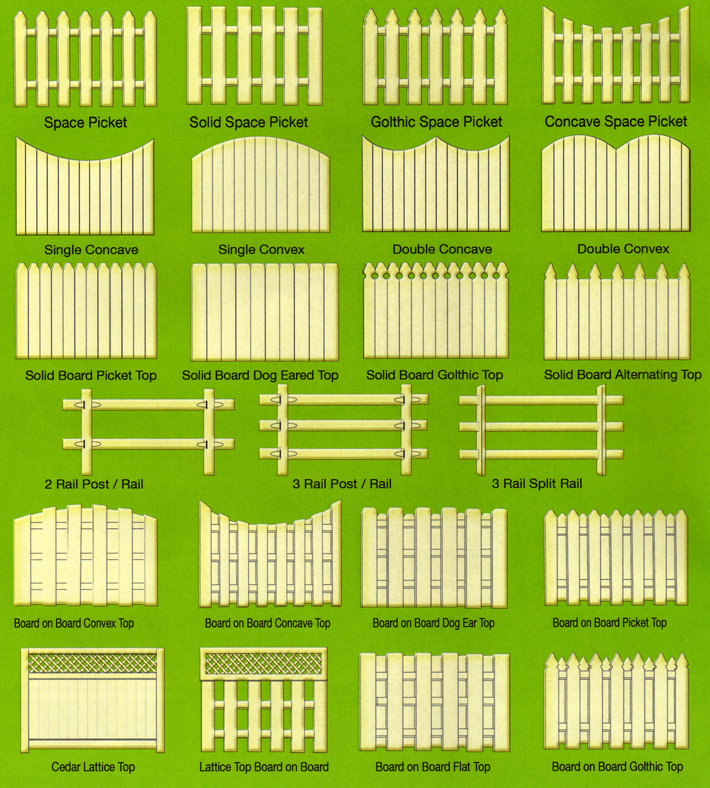 The more ornate and detailed (see image to left) your fence is, with extra boards, caps, and trim will increase the price of materials and labor to install. Vinyl fencing is a type of plastic fence made with PVC (polyvinyl chloride) just like water pipes. The PVC resin is combined with special ingredients that give vinyl fence exceptional impact strength, durability and weather-ability. Unlike wood the vinyl is not susceptible to insects and water rot. Vinyl is an easy-care alternative to other fence materials. A vinyl fence won’t warp, rot, split or blister like a wood fence, or rust, chip, peel or corrode like aluminum. Vinyl never needs sanding, staining or painting. Surface dirt and debris wash away easily with a periodic pressure washing or spray off with a garden hose. Plastic fence is a safe choice for families and pet owners. Unlike wood fences, which are often treated with chemicals to protect the fence from weathering, vinyl is non-toxic. It doesn’t splinter and contains any nails or sharp edges that can harm children or animals. Plastic is also an environmentally friendly fence material, since it is fully recyclable and offers an eco-conscious alternative to the dwindling supply of trees harvested for wood fencing. Green building is something we like to pride ourselves on and we promote metal roofs for their earth friendly qualities as well as synthetic decks and porches here in Charleston SC. The largest downside to vinyl fence just like using composite decking materials is the cost, but what you’ll save on replacing wood will make up for the cost. On average vinyl fence just like composite decks are about double or triple the cost of pressure treated lumber. When you consider the amount of work needed to replace a wood fence, upkeep a pretty wood fence, repair more often the benefits can out way the extra expense for materials and labor to install.